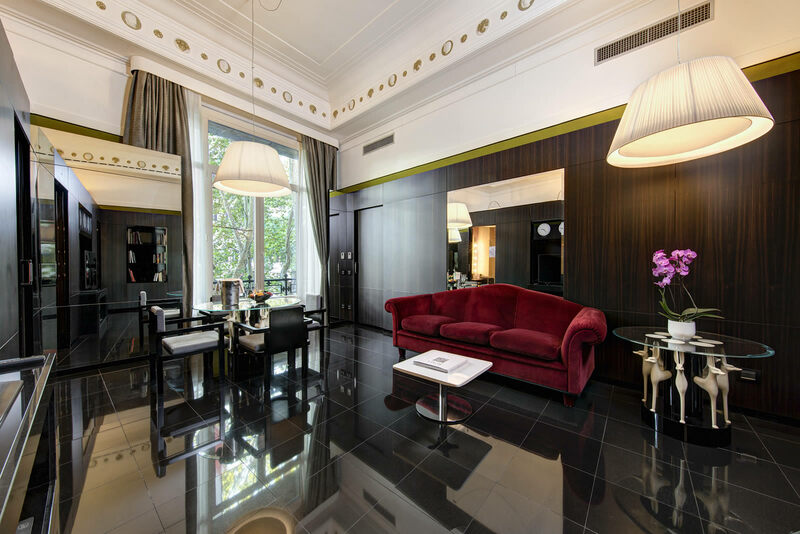 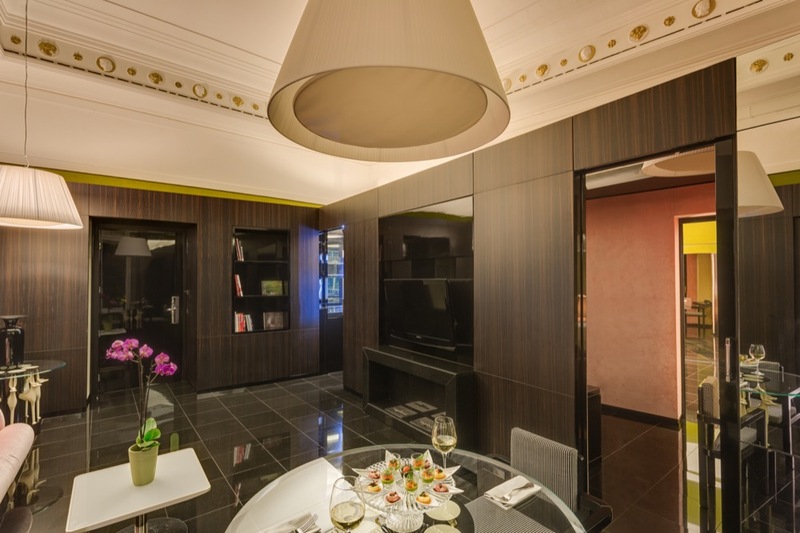 This unique and stylish suite is very spacious, at approximately 67m², and consists of a large bedroom with a bathtub in it, a large living room, a kitchenette and a dressing room. 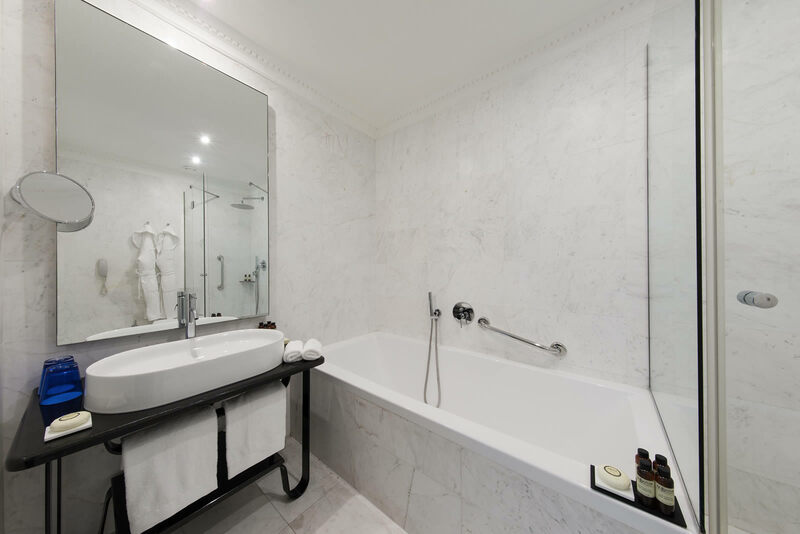 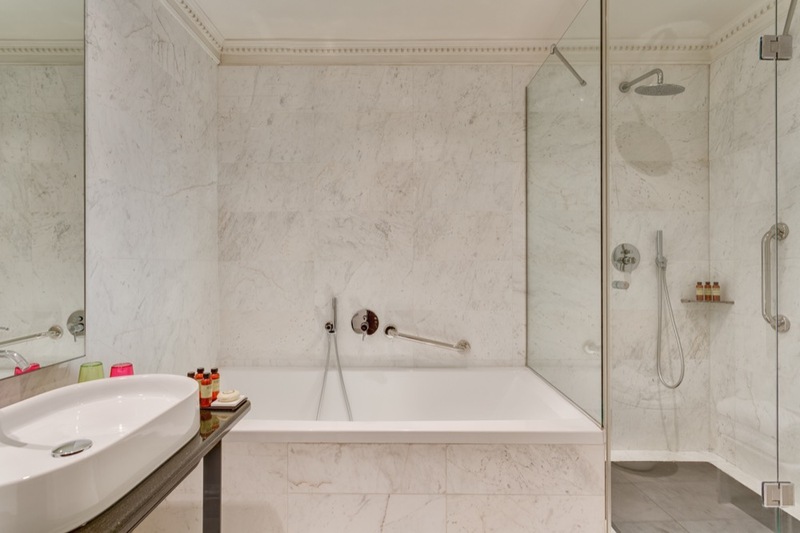 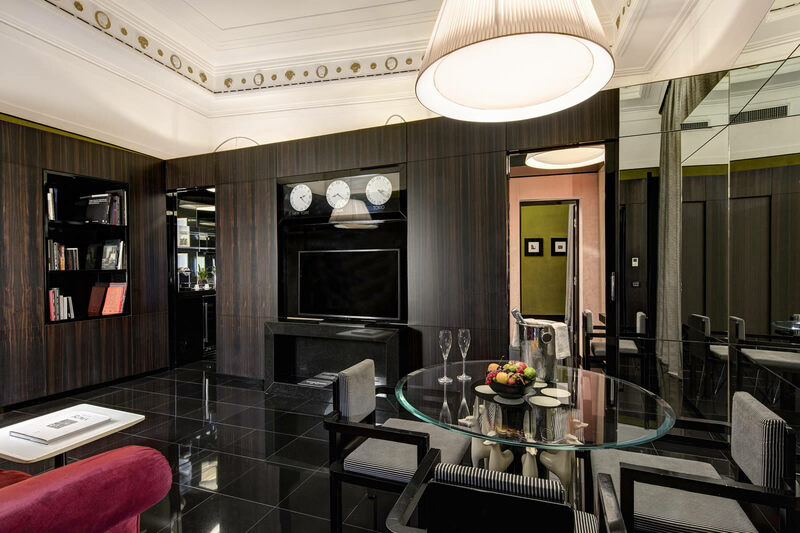 The Presidential Suite is extremely luxurious and is made up of refined interiors, as well as beautiful furnishings. 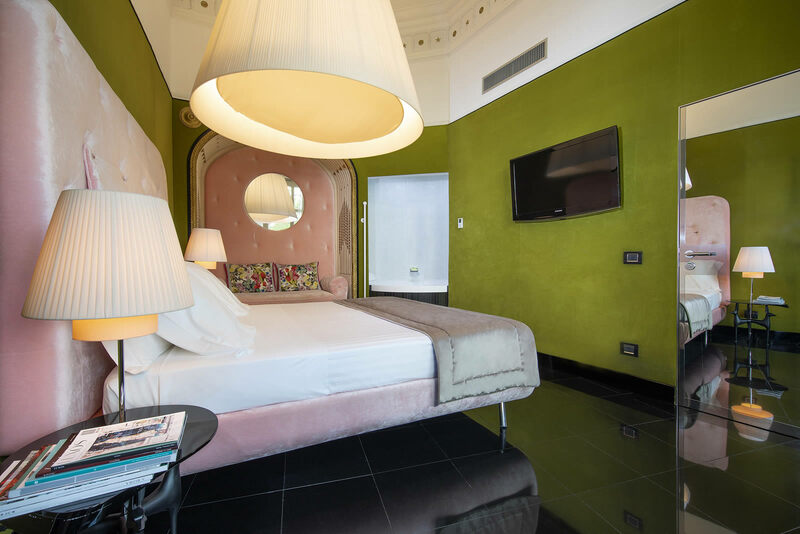 The suite's large windows overlook one of Rome's most fashionable streets, Via Veneto and offer views of the Rome skyline.